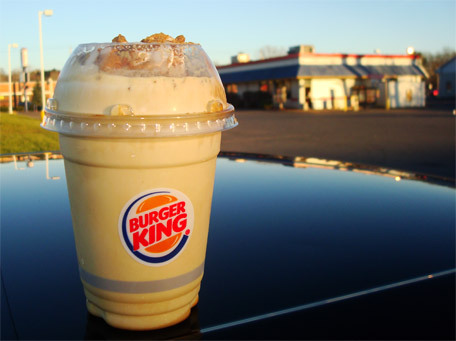 Nick's Disclaimer: This is the overly dramatic version of my experience with Burger King’s Gingerbread Cookie Shake. Please enjoy because I surely didn't. 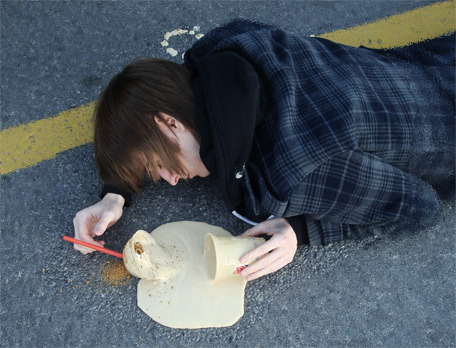 …and as I awoke from my sugar induced coma, I found myself on the cold pavement of Burger King’s parking lot. The air reeked of regret and the taste of artificial gingerbread lingered on my tongue. I knew I would not be proud of what had just occurred. How did I end up here? Let’s flashback to a few weeks ago, our friends over at GrubGrade posted that BK would be releasing two new desserts featuring gingerbread. Now I thought to myself that this is going to be awesome, gingerbread + ice cream = a win. I immediately drove to my local BK to see if they had the desserts yet but was turned away saying they didn't have the ingredients. The next two times I went, they continued running out of the gingerbread for the ice cream. So I thought to myself once again, “well this product must be good if they've run out of the ingredients twice now”. My friends, I was wrong, so terribly, terribly wrong. Even after seeing reviews of the shakes that were anything but positive, I was still in denial, thinking those people were crazy and that this shake has to be a winner. 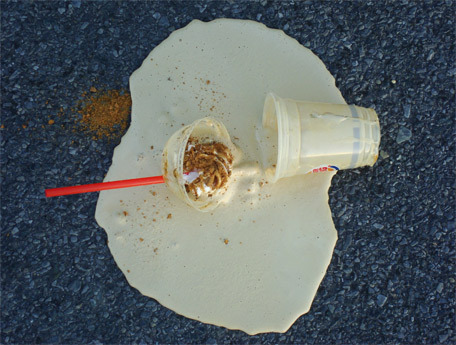 I should've listened, I should have just kept on driving but the siren’s song of gingerbread and ice cream kept calling me back to that BK’s drive-thru. This time I won’t be denied though, the eerie voice at the drive-thru took my order with excitement and proclaimed that “they can’t keep the ingredients in stock”. The voice then sheepishly admitted that she had almost had one every day this week. That was reassuring; if one person enjoyed it that much then maybe it’s not all that bad, right? 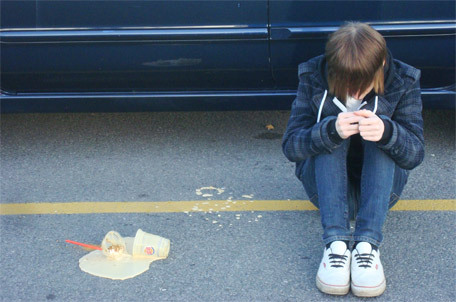 Once I received my shake, I drove over to an empty parking space to inspect my soon to be victim. 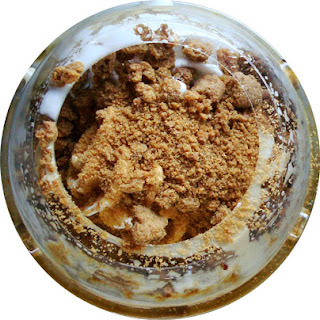 It’s made up of vanilla soft serve that has been blended with gingerbread syrup and topped with whipped cream and gingerbread pieces. It seemed to look innocent enough, almost identical to that of the promotional picture. Looks can be deceiving though and once I took my first sip my vision started to become blurry. The sweetness was so overpowering that I think my body was beginning to go into shock. I had to get out of my car to get some fresh air. I could see the gingerbread crumbs but the taste was artificial and still managed to get overpowered by all of the sugar. 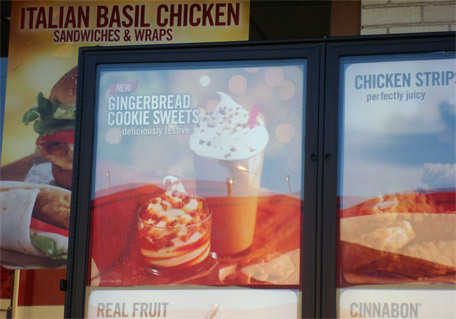 I’m not sure if this would’ve helped the situation at all but instead of topping the shake with gingerbread, they might have wanted to blend some into the actual shake instead of that gingerbread syrup. What exactly is gingerbread syrup anyway? I really don’t even want to know after this onslaught on my taste buds. the next thing I knew I was face down on the pavement. Verdict? I know BK meant well but the road to hell is paved with good intentions. Buy Again? I will not be a part of the slaughtering of innocent gingerbread men for no just reason. *Also thanks to my friend Justin for wasting 15 minutes of his life to help take photos for me. Dubba's Disclaimer: Just to say it once again, this is a fictional story based on the fact that pretty much every review of this travesty agrees that it is sickeningly sweet. I'm sure some people like it, but they seem to be few and far between. Read other reviews here, here, here and here. aha well I warned you. If your pancreas fails it's your fault not mine. aha thank you, I'm proud of how this came out. I wish that BK would have reformulated it a little bit. Instead of the syrup they should have like a gingerbread spice (cinnamon,cloves, ginger) and a touch of molasses. Then put the cookies in the shake blend it up. Whip cream on top then more cookie crumbs. That actually sounds like a good idea but I think the syrup is able to distribute easier than spices. Especially seeing as it is fast food where time is everything. They should have reduced the sugar in the syrup not too sweet more spices and then use the cookie crumbs to blend in. I wonder if you can order it "light on the syrup"? will not try after reading multiple sub par reviews. I agree, if anything at least bk thought outside the box and didn't go the mint route. Maybe next year we'll see some sort of improvement or even better a sugar cookie version. It is bk so I'm sure the "have it your way" motto holds true here. Thought light on syrup might still be too much. I had high hopes for it as well. Here's hoping they reformulate it for next year or another company decides to make their own version. If anything it shows hope for seasonal dessert creativity in the future. Anyway sorry that this really failed. I was so excited because I love gingerbread products and this just makes me sad. Personally, I like it. Although I couldn't handle one every day. I also get it without the whipped cream. But thanks for the idea of asking them to go lighter on the syrup. I've had four so far in the last few weeks; my last one a little over an hour ago, and thought they varied somewhat in taste. Next time I'll ask them to use about half of what they usually make it with. Thanks for the laughs. To each their own. I'm sure you're not the only one who enjoys the shake either. I wouldn't doubt having them go easy on the syrup would improve things but I'm not risking another sugar coma. Also no problem, it was my pleasure documenting my experience. I ABSOLUTELY LOVED MINE TODAY,BUT.....IMA SUGAR ADDICT! MY BODY BREAKS IT DOWN FASTER THAN I CAN CONSUME IT. I do enjoy cookies, candy and ice cream. I also enjoy when they don't put me in a coma and/or make me feel like my teeth are rotting.